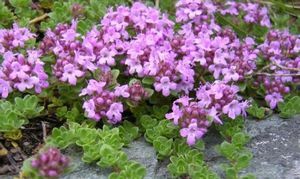 Tiny glossy green leaves are mat forming at 3”. 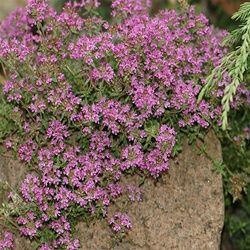 This groundcover is perfect for rock, trough, and alpine gardens, works between pavers, and has rosy-purple flowers in mid-summer. Excellent drainage and lots of sun are a must. Too much rain can be detrimental; water has a hard time evaporating from the leaves causing fast rot.